A cryptic little title for today's musing but pretty spot on. December 4th is the birthday of one Tony Todd. 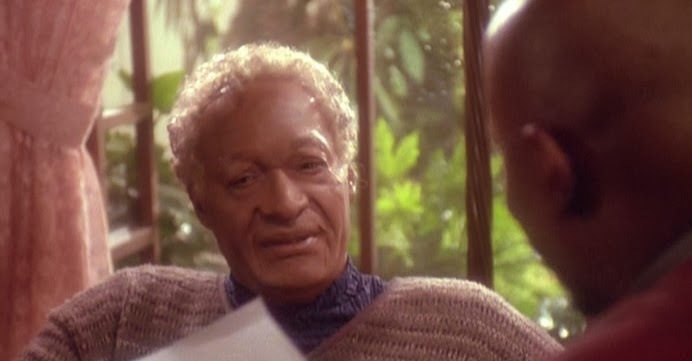 While we could dive into his career, remember his appearance in Babylon 5, 24 or the seminal Candyman we're here for Star Trek and let's not forget that for one second. 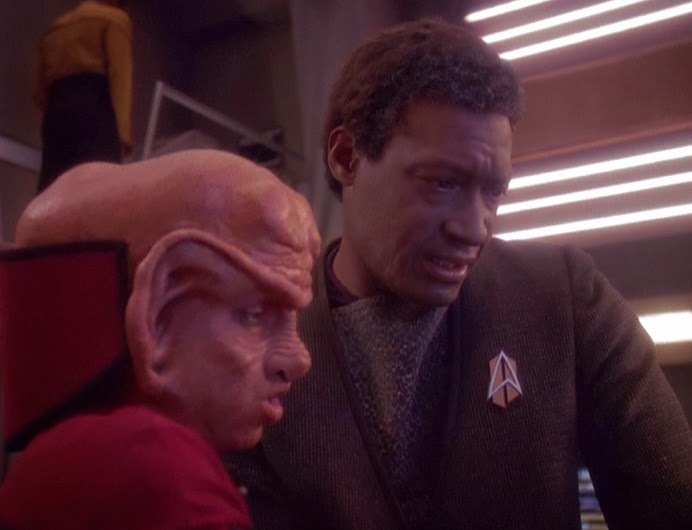 Tony Todd is probably best remembered for his role as Worf's brother Kurn in The Next Generation's Sins of the Father and Redemption as well as Deep Space Nine's Sons of Mogh (that's the brother bit). While it was a massive role that was heavily featured around the story of the duplicitous Duras family I actually wanted to get a look at his second Star Trek role. Todd would make two appearances in Deep Space Nine with, oddly, Kurn being his second. The first would be in The Visitor; the first episode of the fourth season after Way of the Warrior. For me this was probably his defining moment; the best performance he gave to the franchise in what was one of the finest episodes the space station saga produced. 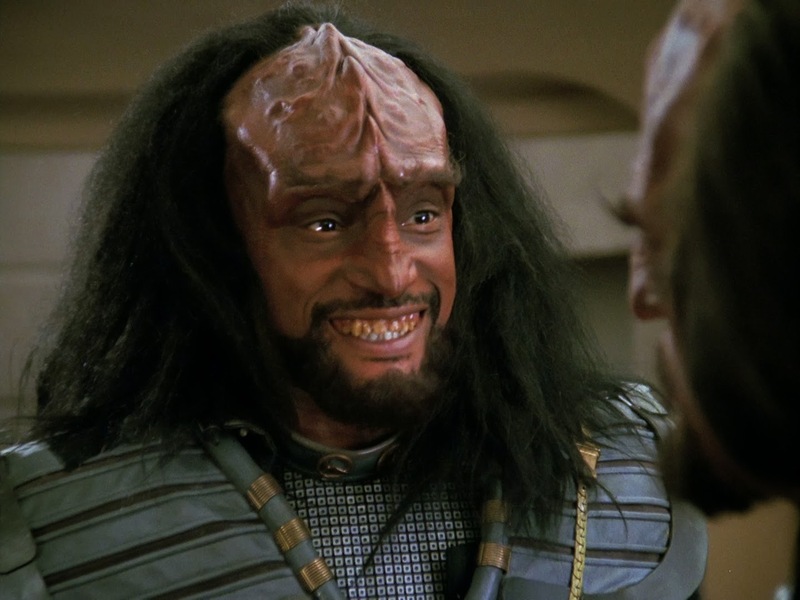 Cirroc Lofton portrayed the younger Jake Sisko while Tony Todd took the role forward into a future where Jake becomes a writer (the son bit) but ultimately sacrifices a promising career, wife and potentially a family too in order to try and stop his father from being temporally displaced. While we all know the outcome here, Todd absolutely hits every single note through the story, leading the episode and stealing it from pretty much everyone else on the screen. For me this was the emotional punch of the entire franchise, even topping (dare I say it) The Inner Light. Each time his father disappears another piece of Jake is crushed and there's a real possibility that this is a mystery that might not be solved. Tragically it is, but it takes, literally, a lifetime. That final scene at the house between father and son is, for me, was the "Picard and the flute" moment of Deep Space Nine. The anguish that Sisko realises as it dawns that Jake has ended his own life to save his own and snap the link is simply perfect. Maybe it was because I had truly "found" Star Trek by this point and wasn't just watching it to pass an hour of TV - I was involved and this found its target. Todd also manages to carry off the increasing age of the character surprisingly well. Yes, he's clearly under a serious amount of makeup but it's still a believable and heart-stopping performance that makes this one of my most watched stories of the show. Even though we know there's going to be a reset button somewhere in son-of-producer Michael Taylor's script it makes absolutely no difference in the power of events. I have better recall of Todd as Jake than all the future events revealed as the episode unfolds. All the way through Todd's drive as Jake keeps the viewer hooked, slipping from the future viewpoint in his bayou house where he is narrating the events of the past to Melanie back to the trials of communicating with his missing dad. While this is an episode I've still got to reach in my Episode-a-thon it still sticks clear in my mind even 18 years later and I'm certain it's thanks to the brilliant performance that Tony Todd puts in for the hour. So much so that when I met him it was a picture from The Visitor that I asked to be signed (let's ignore the fact his PR people had TNG at the bottom however...). 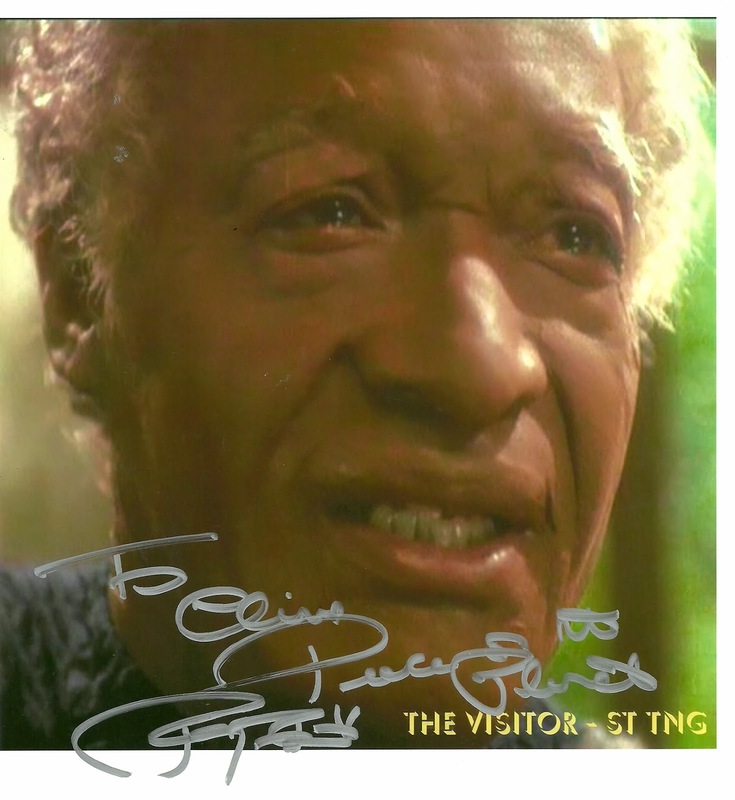 So happy birthday Tony Todd and thanks for making some amazing appearances in the Star Trek universe. As for the hunter reference..? Take a step back to this post to find out the answer!